Quick interaction is the key reason for crafting well-versed wearable apps. By having a wrist tracker, user can measure his/her heart beat and monitor sensor readings as well. However, no proper research on wearable app development has been done yet. And, that’s why most of the vendors still do not know how customers will interact with their mobile apps and with such devices. So, what can be done? – To find the right and tailored solution, you need to experiment with the app design and functionality. Always try to understand and figure out what types of challenges your application can solve and who your potential customers are. And, for that study all the available use cases and consider the usability standards, too. Developers are looking for developing wearable apps along-with developing mobile software, thus enhancing the device capabilities with exactly the same functions and features. However, the power of such kind of devices is limited, thus user’s experience cannot be the same due to technical challenges. There are a few tools available for developers in Apple, Android, Tizen and other platforms. Your project looks realistic on paper, but being a developer you know that you will most likely face challenges while implementing latest animations or sensor technologies. If you are looking to add animations or the so-called “taptic” options, the “wearable device + smartphone” scheme is really crucial. You can consider cloud solutions; as the data exchange process should not take too long to process. When it comes to apps for wearables, size really matters. Almost every vendor wants to offer many app functionalities, and that’s the blunder they does. Instead of that, you should start thinking of having a few basic functions that ensure to add extra features gradually. Don’t miss small screens and limited computing power. Wearable technology means faster interaction. 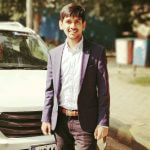 And, at the certain stages like when devices exchange data via cloud platform, there is a possibility that software and hardware may fail to work altogether. In turn, it affects the performance and overall user experience. To meet this challenge, try to deploy basic app functionalities. And, for that you should use reliable software and hardware combinations. However, their number is limited. Mobile app development for wearable devices is an entirely new IT dimension. Whenever a new device is crafted, the coding process needs to be carried out individually. This in turn, may result into failure of apps on a particular device. Today many IT companies are currently working on specific and specialized software development kits (SDK) to enhance app synchronization and performance. You need to choose the right SDK and development environment first. And, once you have defined the API approach, think of the app functions and enticing special features. Work with the hardware developers so that the device would support the app’s functionality flawlessly. And, if you don’t do this, you won’t be able to test the software rigorously and will have to adjust the settings for a specific device, which basically requires extra costs. Always be realistic and never lose your hope! Give flight to your brand and business by developing a business-centric Wearable apps. If you have any top-notch Wearable App Idea don’t hesitate to share with us. As we have a team of expert mobile app developers who have worked on some leading Wearable app projects. You can contact us . 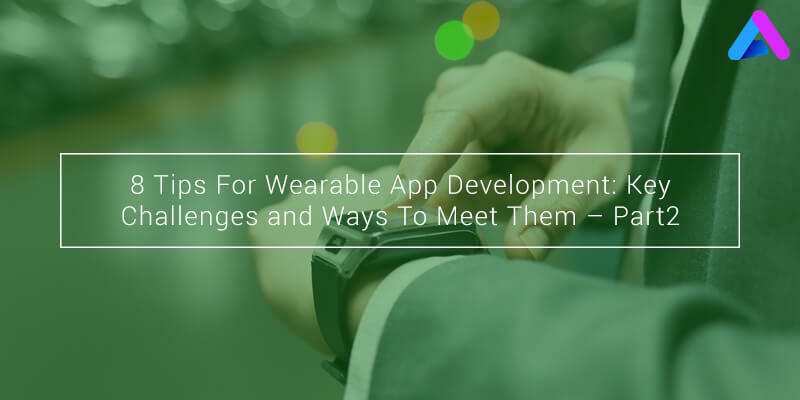 “7 Challenges Faced by Developers in Wearable Development,�? “Wearables - The Emerging Future Trend for the mHealth Apps,�?